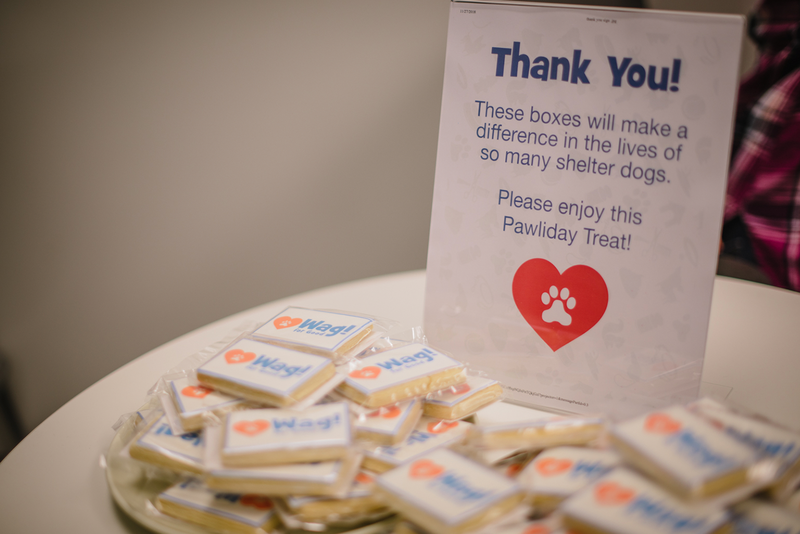 When it came to #givingtuesday this year, Wag! 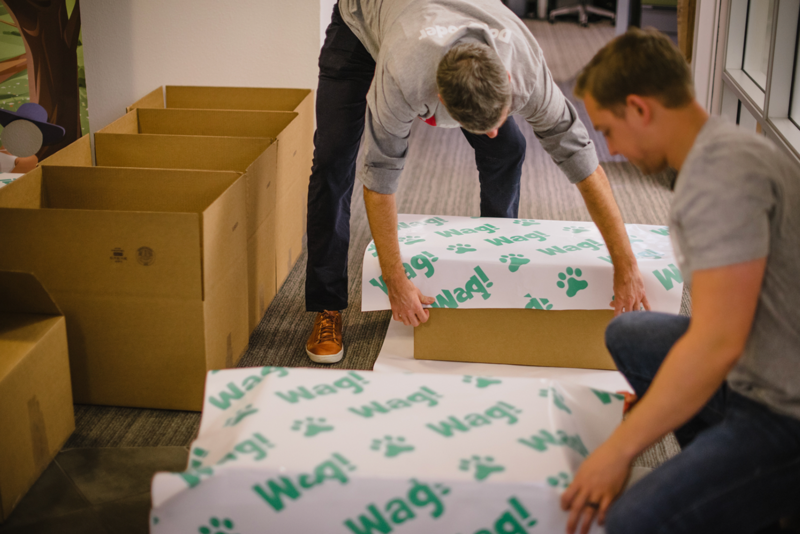 team members — we call ourselves Wagsters — went all in. Wag! employees gathered in each of our offices to give back to the communities in which we live and work. And by communities, we mean both dogs and the people who love them. 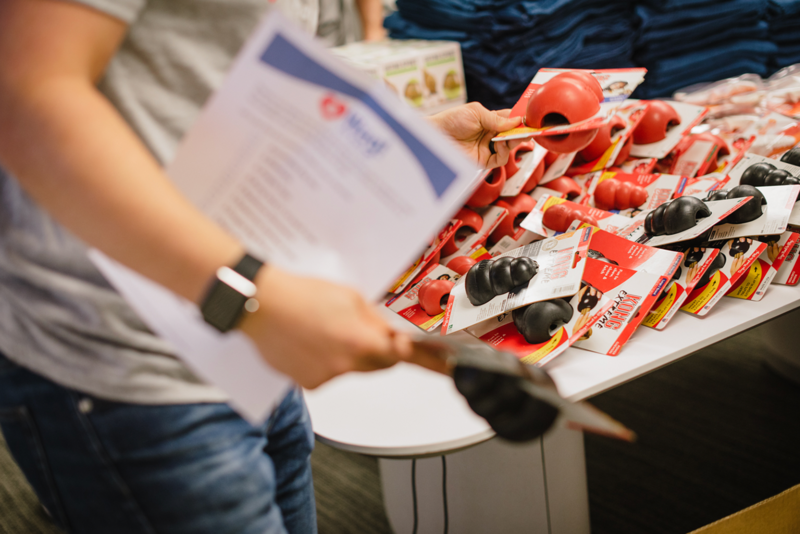 Giving back for us meant assembling box after box of chew toys, play toys and other items that shelter dogs love. Soon, we’ll deliver the boxes to pet shelters in Los Angeles, the San Francisco Bay Area, Phoenix, New York, and other locations across the country. 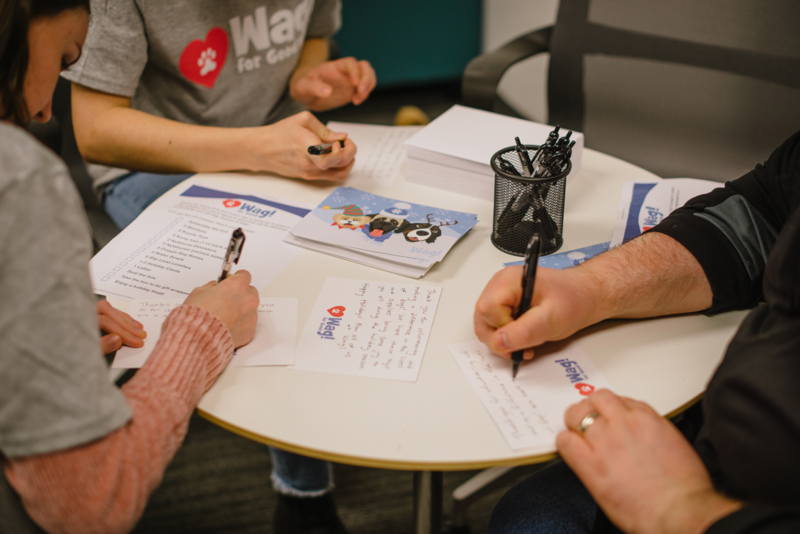 Wagsters also wrote and enclosed notes to shelter workers, thanking them for their hard work and commitment. If you’re still in the #givingtuesday mood, we encourage you to donate to shelter and rescue organizations in your community. A quick Google search will turn up some worthy recipients, or if you’re still not sure, ask friends for some recommendations. Animal shelters can always use more blankets, towels, durable chew toys, and treats. Here are some pics from Wag! offices on #givingtuesday. Way to go, Wagsters! You definitely know how to create joy for dogs and those who love them.